From "Who's Who in Racing", 1963. Supermodifieds. 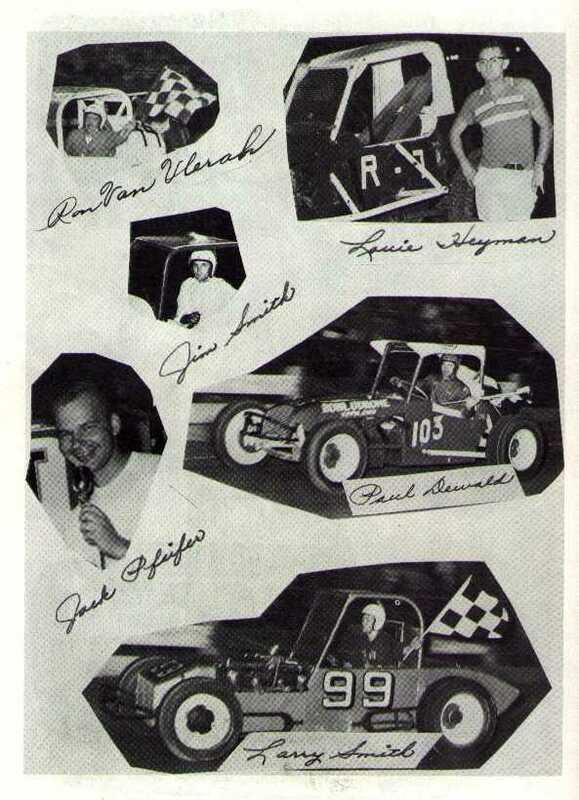 Ron VanVlerah, Louie Heyman in the R-7, Jack Pfeifer, Paul Dewald in the #103, and Larry Smith in the #99.